Michigan State legislator David Agema has introduced an anti-sharia bill that attempts to ban the implementation of ‘foreign law’ in the US that would contradict constitutional rights. 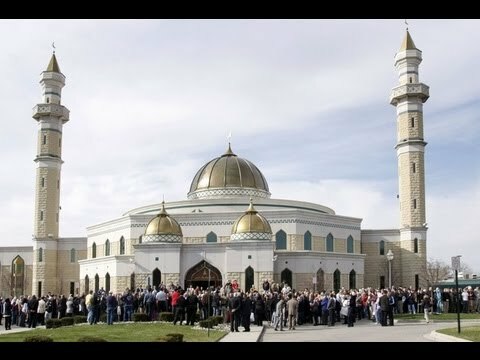 Agema openly says he wants to target the Muslim-American community of southeast Michigan, falsely alleging that there are terrorist cells among them. Arab-Americans have emerged as an important swing vote in Michigan, such that Republicans are unwise to complete the job of driving them into the arms of the Democratic Party. (They had earlier been split, but because of Bush administration policies and the rise of the Tea Party, a majority now vote Democratic). The bill drew a sharp rebuke from the Council on American Islamic Relations (CAIR). Sharia is the living tradition of Muslim law, analogous to Jewish Halakha or Roman Catholic canon law. Anti-sharia bills are unnecessary since the first amendment forbids the government from establishing any particular religion. Sharia provisions can come into legal judgments (e.g. if a husband and wife have a pre-nup with sharia provisions (dowry?) agreed to by both parties, the judge would obviously have to consider it in a divorce case). The Agema bill could not stop that from happening, and depending on how it is worded, it is ignorant of the tradition of Anglo-American common law or it is just unconstitutional.